Cantemo Portal ticked all the boxes, in terms of its functionality and integration possibilities. Its impressive international customer base further cemented our belief that this was the right solution to help us streamline our workflow. KWEN JUN BEOM, EVANGELIST, YONSEI CENTRAL BAPTIST CHURCH. 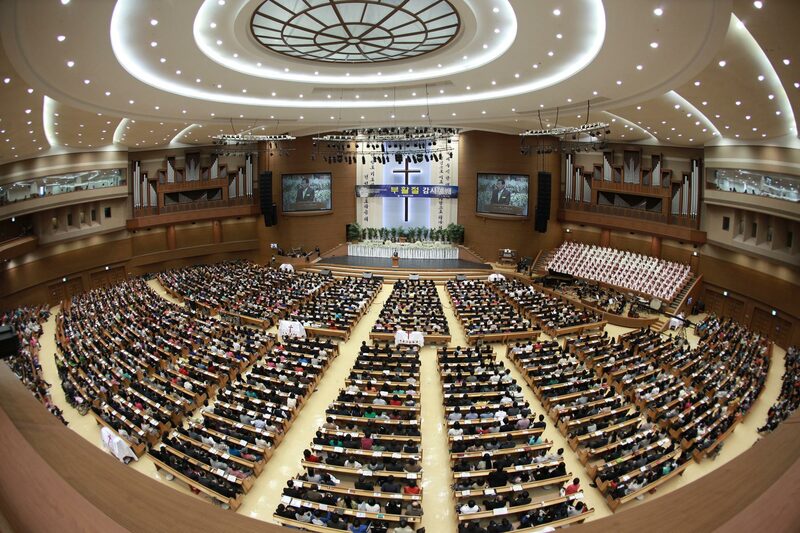 Yonsei Central Baptist Church in Seoul is a thriving church community on a massive scale. Having outgrown several previous buildings, the church purchased a 9.8 acre plot of land in order to build a church big enough to house its congregation, which amounts to hundreds of thousands of members. The church building itself covers 427,000 square feet. The site also houses an Education Center, which is serving the community with Christian education, as well as 214,000 square foot of World Vision Center, with seven floors, a basement and parking for up to 300 vehicles. 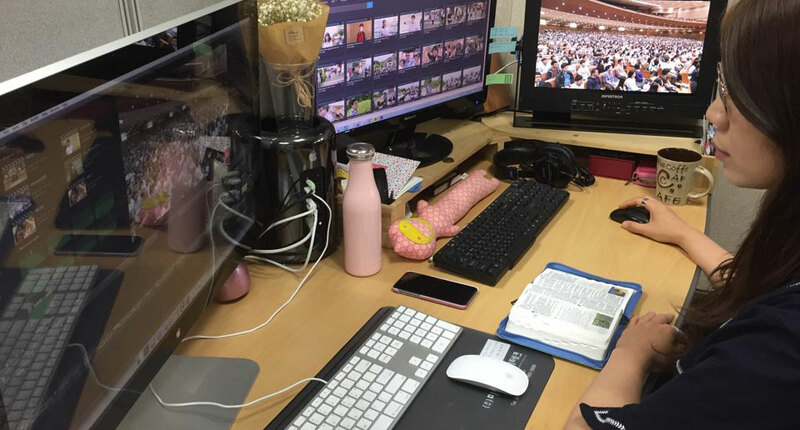 As well as having a massive congregation attending each week, Yonsei church uses video to extend its reach further to tens of thousands of viewers. Every week, the services are broadcast live, as well as broadcasting other content, such as conferences and seminars. This means that every week, the church sends a large number of video files to cable and satellite broadcast stations, ready for broadcast. This task was proving complicated, to ensure the right stations had the right videos at the right time, and in the right format. With the help of systems integrator, Digital Rich, Yonsei Church implemented Cantemo Portal™ to make that process much more efficient. 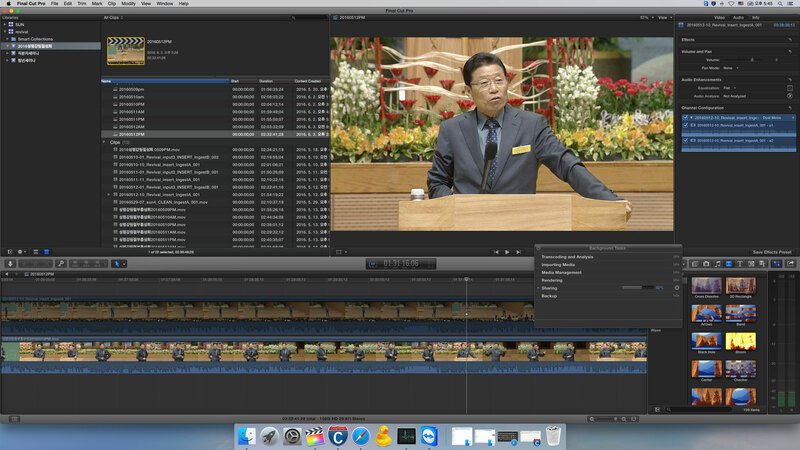 The team at Yonsei Church use Final Cut Pro X to edit the video files and ready them for transmission to various broadcasters. Therefore, being able to integrate with Final Cut Pro X and continue to use this familiar environment was really crucial. Cantemo Portal’s integration means that whilst the editors are working within Final Cut Pro X, Portal is busy in the background ensuring the content is effectively managed, moved, transcoded etc, according to pre-determined rules. The nature of the video files is very unique and therefore being able to add its own custom metadata to describe the types of files and content was extremely 2 important. Cantemo Portal enabled that flexibility and Yonsei church has setup a number of unique fields. Automatic transcoding at export was another important feature for Yonsei, ensuring that the video files will be in the right format for its delivery partners without them having to go through that process manually. Yeonsei church is truly inspirational with its use of video to spread its message beyond its weekly congregation. Cantemo Portal is helping them to do that effectively and its user friendly interface is very much welcomed by the team, making it simple for the users to navigate their way around their content. TIVEN KHAN(AN KYO HEON), DEPUTY MANAGER, TOOLSMEDIA. 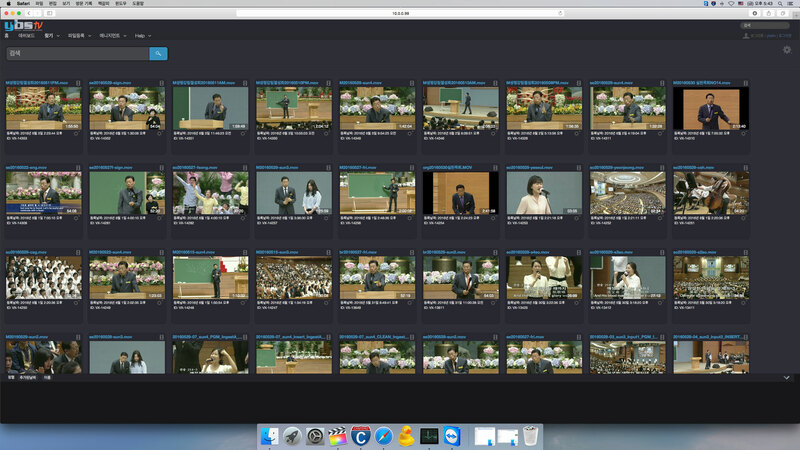 At the end of 2015, Yonsei Church made the switch from SD to HD. Ensuring a file- based workflow in preparation for that move was important and one of the main catalysts for this project. Once that transition has happened, and as the media library expands, there will be a requirement to expand the storage capabilities. Being able to integrate any number of storage solutions into Cantemo Portal means these can be added as and when needed and the workflows can be seamlessly integrated into Cantemo Portal to enable intelligent workflows right through to archive. Yonsei also plans to expand it to cover the existing tape archive, making those archived files easier to access directly within Cantemo Portal. In the near future, Yonsei plans to establish a number of rules using Cantemo’s Rules Engine 3. The Rules Engine App allows for custom automations and the creation of advanced rules and workflows. This means that a number of its file movement processes can be handled automatically, such as moving files to archive, for example. It also makes it possible to determine access control rights and processing and movement of assets depending on associated metadata. Yonsei Church has an absolutely enormous following, both on site and via its video feeds to viewers around the world. We are pleased that Cantemo Portal is enabling them to manage that video in a more streamlined way, meaning it can concentrate on getting its important message out to a huge following. Founded in 2004, toolsmedia is a leading Apple Mac-based system integrator in Korea. With extensive experience in broadcast technologies from ingest to playout, toolsmedia is able to build robust solutions for a wide range of clients.